The volume also sponsored a veterans’ writing competition, judged by Dr. Jenny Yang Cropp (author of the poetry collection String Theory, Assistant Professor at Southeast Missouri State University), Justin Dambach (photographer and videographer), Brandon Hobson (Pushcart Prize winner and author of Where the Dead Sit Talking), Dr. Joel P. Rhodes (Professor of History at Southeast Missouri State University), and Amanda Woods (Acting Director of the Office of Military and Veterans Services at Southeast Missouri State University). The winners and finalists are spotlighted in the front of the book. 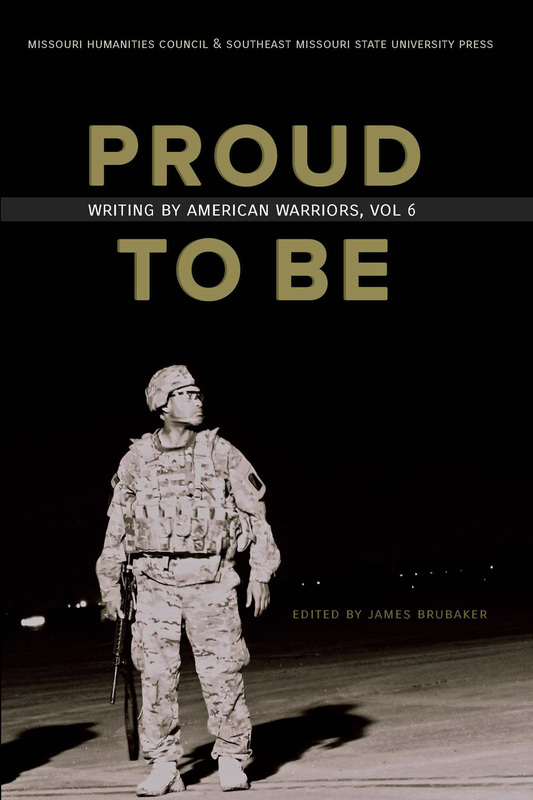 The anthology is the sixth in an annual series published by Southeast Missouri State University Press in cooperation with the Missouri Humanities Council’s Veterans Projects. See submissions guidelines here. “Why I Could Not Talk or Write About My Lai” by Martin Willitts Jr.